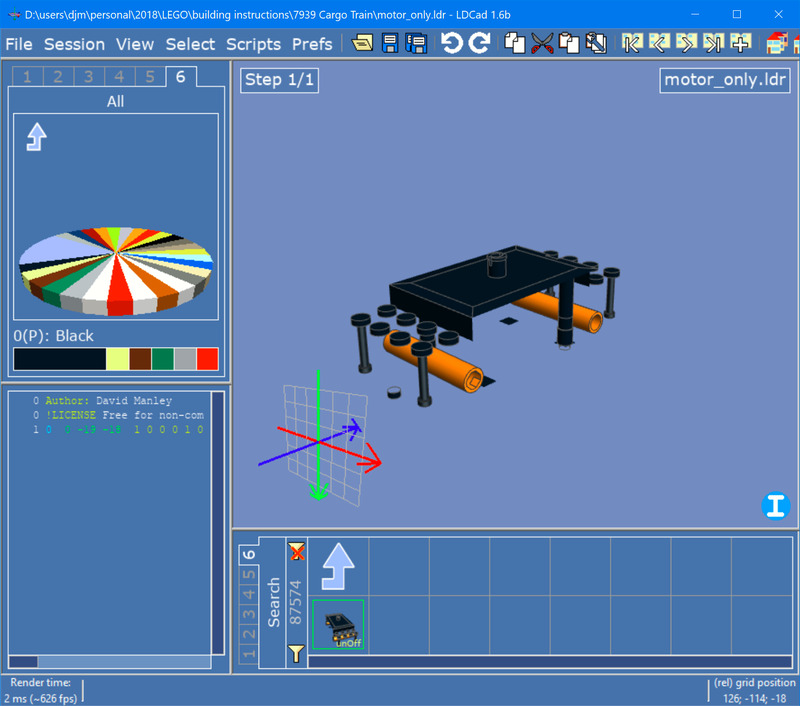 I decided to do a 1.6c version of LDCad as I've gathered a couple of small issues making it worth while. But I would like to address as much as possible as this might be the final 1.x version. - Copy goes wrong when multiple instances are involved of which not all are really selected (e.g. some are hidden trough buffer exchange). - ctrl + 'plus' or 'min' hotkeys don't work. - Animation mode does not apply buffer exchange visibility. - (very)Basic export (probably CSV) for part bin contents. Mostly for use with the "All parts used in the current model" bin. Please feel free to report any additional issues and or minor tweaks. (2018-07-20, 17:33)Roland Melkert Wrote: Please feel free to report any additional issues and or minor tweaks. Dunno if it qualifies as minor... show help section of a part when displaying its properties? The same parts renders properly using LPub3D, so I'm slightly puzzled as to what has happened here. Any suggestions? It looks like you don't have, or have misplaced the subfiles to the top and bottom parts of the motor assembly. (2018-08-13, 21:28)Magnus Forsberg Wrote: It looks like you don't have, or have misplaced the subfiles to the top and bottom parts of the motor assembly. .. the motor is displayed as expected. Any attempt to explain why it wasn't displaying correctly before but now is would be pure guess work from me, so I won't go there. (2018-08-13, 23:24)David Manley Wrote: Any attempt to explain why it wasn't displaying correctly before but now is would be pure guess work from me, so I won't go there. Did you restart the program after placing the dependency files? LDCad only updates the library at program start when changes are detected. A plausible scenario for this: you intalled the main part without installing the subparts (or placed them in a wrong folder). When you look at the part with LDCad, it misses all those subparts as shown in your screen capture. If then you look at your file with LDView (or try to make BIs with LPub3D that uses LDView), LDView automatically fetches the missing subparts from LDraw server. Its display is correct, and the missing subparts are now correctly placed in the right folder, thus "repairing" LDCad display. Maybe future versions of LDCad could also try to fetch missing files from LDraw server? (2018-08-15, 9:36)Philippe Hurbain Wrote: A plausible scenario for this: you intalled the main part without installing the subparts (or placed them in a wrong folder). When you look at the part with LDCad, it misses all those subparts as shown in your screen capture. If then you look at your file with LDView (or try to make BIs with LPub3D that uses LDView), LDView automatically fetches the missing subparts from LDraw server. Its display is correct, and the missing subparts are now correctly placed in the right folder, thus "repairing" LDCad display. ... Philippe's plausible scenario seems to be a reasonable explanation. I had installed the dat files listed for the file detail in the appropriate unofficial sub-directory but nothing else. I have LPub3D configured to use LDView as my renderer. I ran LPub3D a couple of minutes after using LDCad. Looking at the timestamps of the files in the "s" sub-directory, they have a timestamp corresponding to when I ran LPub3D, hence when I next ran LDCad, the sub-parts were available. Thank you Philippe for the plausible scenario explanation. A minor annoyance: I check "sync description with filenames" when I create submodels, and this option is neatly used for all submodels... except those automatically created through templates. I'm not sure if this is a bug or a feature request but is there a way to select and change a color for all colors in a model including sub models? Love your wonderful program Roland! 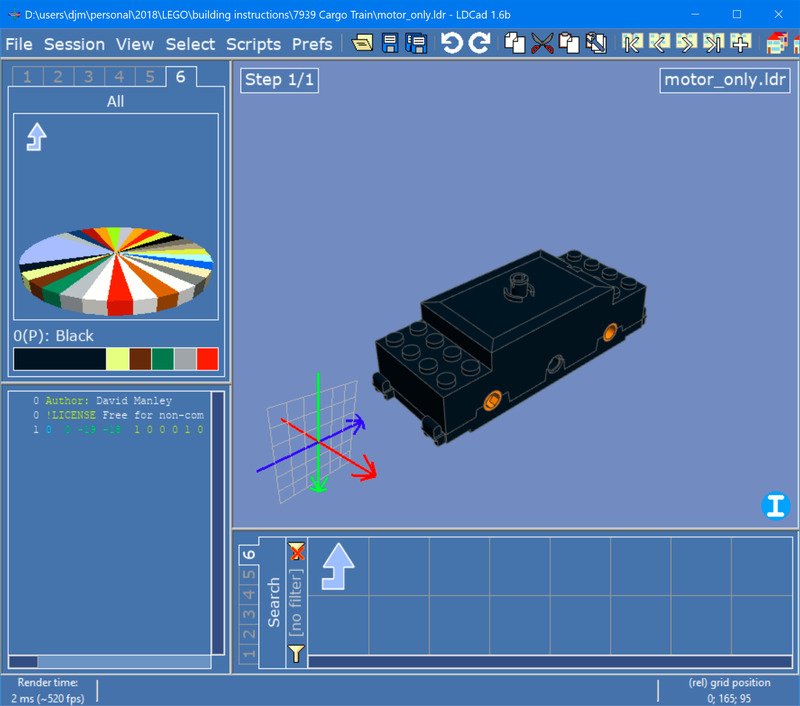 (2018-09-14, 4:34)Cam\s Bricks Wrote: I'm not sure if this is a bug or a feature request but is there a way to select and change a color for all colors in a model including sub models? Love your wonderful program Roland! You can also change the grouping layer to "none", all groups will be ignored that way. Does it retain the group info if I go back to a non "none" layer? (2018-09-14, 17:18)Roland Melkert Wrote: You can also change the grouping layer to "none", all groups will be ignored that way. Yes, the group layers are meant to allow for multiple configurations. E.g. to help animate things while building instructions use different groups in the same model. The option only locks docking, it still allows closing for sake of the floating windows. I guess I could disallow closing docked windows to make it more consistent though. (2018-09-18, 18:02)Roland Melkert Wrote: I guess I could disallow closing docked windows to make it more consistent though. Sometimes, it would be interesting to be able to see highlight of selected parts even if they are hidden by other parts (x-ray mode). This would be helpful to locate hidden parts (selected in source window) or insert part that go deep inside a model. Of course this must remain an option, as x-ray mode is a nuisance in the general case.